Method :- Sprout dry methi seeds. Half cup of dry methi seeds will yield approx two cups of sprouted methi. Heat oil in a pan. Add M. seeds and add sprouted methi seeds. Stir quickly. Add curry leaves. Take tamarind extract adding water and allow it to cook in low heat. Stir occasionally. When the content is boiling, add haldi,LG powder. After twenty mins, you will notice, content reduced, oil absorbed and oil starts leaving the sides. Sprouted methi should have cooked well and raw tamarind smell should have gone. Add red chilly,salt and jaggery. This thokku will be in gojju consistency. Allow it to cool and store it. Can be used in rice/idly/dosa. Use in moderation! Diabetic friendly! Method : In a pan, heat some oil and sauté mustard and jeera until they crackle and then add in onion, curry leaves and green chillies. Sauté till slightly browned and add in. Ginger garlic paste and fry till raw smell goes away. Next add in veggies one by one and sauté everything till well cooked. Add in all spice powders and salt and stir well for 5 mins. Keep aside For puff base I used a ready made puff pastry sheet( 1 sheet is about 12 inches square and yields 4 puffs). Preheat oven to 220 deg celcius. 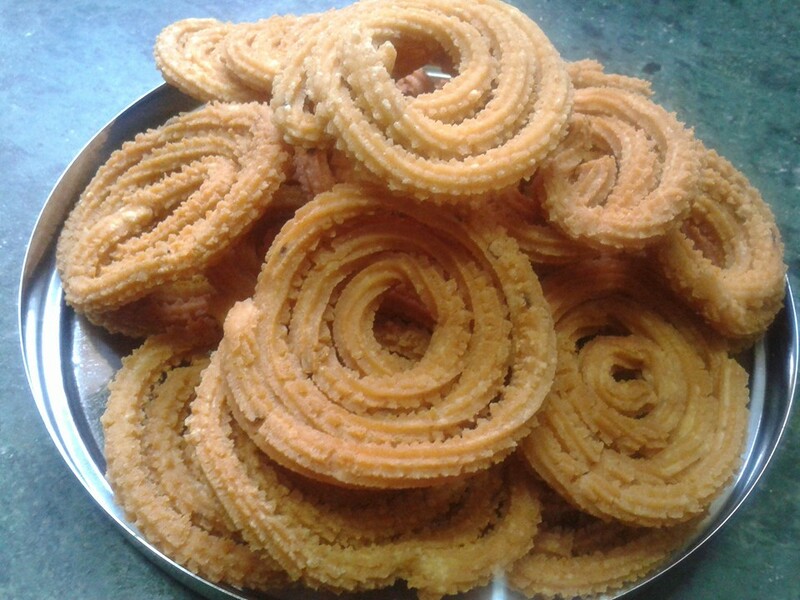 Besan 1 cup, rice flour 2 cups, chilli powder, daniya poder, salt, hing, jeera and biutter. Mix all ingredients and bind like roti dough by adding water. Make chakli with the help of Murukku kozal through single star blade. Deep fry until get goden brown colour. Serve with hot tea or coffee. 1. ஒரு டேபிள் ஸ்பூன் தனியா மிளகு 6 இரண்டையும் வறுத்து பொடியாக்கி புளிகாய்சலை சாதத்துடன் கிளறும்போது சேர்த்து கலந்து பிசைந்தால் புளியோதரை சூப்பராக இருக்கும். Add 1tsp of Pepper and Dhaniya dry roasted and powdered in Puli-kaaichal, which gives good aroma and taste. 2. ரவா உப்புமா செய்யும்போது பாதி தண்ணீரும்,பாதி தேங்காய் பால் அல்லது பசும்பால் சேர்த்து செய்தால் உப்புமா மிகவும் சுவையாக இருக்கும். Upma will be tasty and awesome if we add 1/2 water and 1/2 Coconut milk or Milk to it. 3. மெதுவடை செய்யும்போது உளுந்தை சரியாக 1/2 மணிநேரம் ஊறவைத்தால் போதும்.முக்கால் பாகம் ஊறியும்,கால் பாகம் ஊறாமலும் இருப்பது தான் சரியானபதம். The exact time of soaking for Urud-dal vada would be for 30 mins where half is good soaked and half will be half soaked. 4. பாகற்காயை எப்படி செய்தாலும் கசக்கும்.அதற்க்கு காயை அறிந்து முதலில் உப்பு போட்டு பிசைந்து 10 நிமிடம் ஊறிய பிறகு,புளித்தண்ணீரில் 10நிமிடம் ஊறவைத்து கழுவி சமைத்தால் கசப்பு ஒரளவு குறையும். To remove the Kasappu from Bittergourd, just cut to pieces, add salt and keep aside for 10 mins. Then soak in Tamarind Water for 10 mins, will reduce the maxikum bitterness from it. 5. தேங்காய் தண்ணீரை வீணாக்காமல் ரசத்தில் சேர்த்தால் ரசம் மிகவும் ருசியாக இருக்கும். Adding Coconut water to Rasam will enhance the taste of the rasam. METHOD : In a kadai, add ghee.When it becomes hot , add ginger,garlic,green chilli,clove,cinnamon stick,turmeric powder.Fry nicely. Add chopped onions,and fry well.Then add cut vegetables and then rice and moongdal. Fry for 2 mins. Transfer to a big vessel.Add 4-5 cups of water.And cook in pressure cooker for 8-10 whistles. After cooker can be opened add salt and some more ghe.Mix well. Serve hot with any raitha. 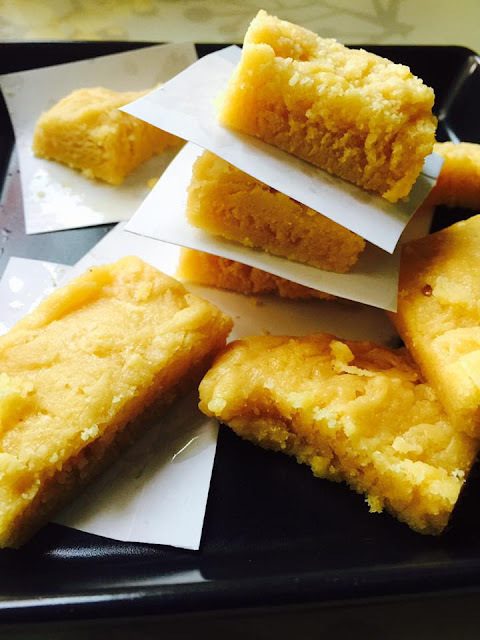 Method: Take a tbsp of melted ghee and mix with Besan flour nicely and microwave on high for one minute.nice aroma comes, remove. Now add rest of the ghee and milk slowly and mix without forming any lumps.add sugar mix. Microwave again for one minute on high .it will start thickening .you can see ghee floating on top. Remove ,mix well with a spoon and again microwave for one more minute. The mixture will start foaming and bubbling .this is the indication for transferring the mixture to the greased plate. (again u can microwave for another last 30 seconds, as the oven defer from one another. Pour the mixture on to a greased tray. allow to cool for atleast 15minutes completely ...cut into square shapes. the extra ghee on the plate can be removed, and can be used in cooking. Serve and enjoy. Method : Mix all ingredients. Grease idly stand pour half (Like v make idly), Check after 10 mts. Yummy cake is ready. If u have the ingredients it will take 15 mts for u to make. So happy it's my 1st double century, thank u so much for all 200 likes & compliments. idhu romba easy method. 1 cup wheat or broken wheat 2-3 hrs soak panni grind pannanum too much water illama. add 2 cups sugar with the wheat milk & stir it well so that sugar dissolves completely.cook this mixture in a cooker for 3 whistles. 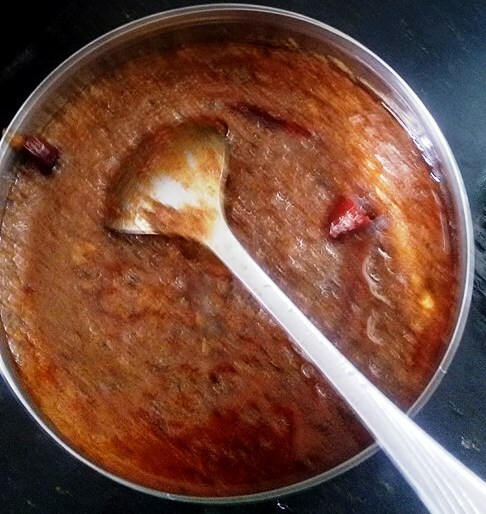 open it & pour into a pan & stir for 5--10 minutes it will automatically surundu ottamal varum color pottu fried cashwes pottu greased platela kotta vendiyaduthan .oorra time than kilara mxm 10 minutes than & gheeum romba aagadu.Ippadi try pannipparungo. Soak rice in water for atleast 15 mins. In a cooker add 2 tbsp sesame oil, when hot add broken red chillies 2 , then add mustard, hing, fenugreek seeds, channa dhal, peanuts, urad dhal one by one until it turns red . Then add curry leaves saute...add pepper powder, fenugreek powder, red chilli powder, dhaniya powder, turmeric pwdr keeping flame low. Add tamarind water, salt and some more water...when boiling add fried sesame seeds little , drained soaked rice ...close cooker and pressure cook upto 2 whistles. Tastes yummy . U can serve hot or cold. Add fresh curry leaves on top. 1 cup rice ku regular ah vidradha vida 1/2 tumbler less...measure and pour otherwise it will bd mushy. Both water and tamarind juice serthu antha alavu erukanum. 0.5c toor dal soaked with 2 red chilli for 30 min. Grind coarsely. Steam for 10 min and crumble. Season mustard channa dal. Add chopped capsicum, cook till crunchy soft. Add crumbled mix well. 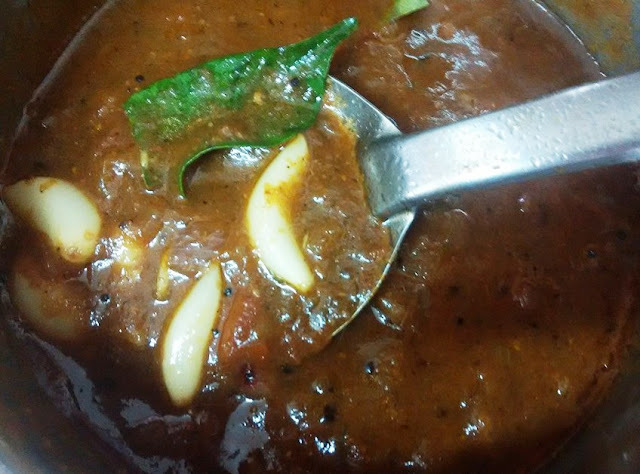 Serve with tomato rasam/vatha kuzhambu. Cut the top portion of capsicum & take out the seeds and keep it aside... In a kadai pour butter or ghee & fry grated paneer with masala items.. Stuff this paneer mix into the capsicum &shallow fry in an oil... Serve hot with rotis..
Aaloo shimla mirch... Add oil (fairly good amount) in a pan.. Add jeera,sounf and wait till it splutters... Then add turmeric powder one small tsp.. After 2 min add baby potatoes and let it fry.. Close the same with a lid.. After 7-8 min add capsicum cut in cubes.. For colourful appearance,red and yellow capsicum can also be added..Add konjam sambar podi,konjam perungayam and little kitchen king masala.. Close the same with a lid and let the veggies cook well... After 10 min add salt and again close the lid for 3-4 min.. Switch off gas and add some chopped coriander.. Super aaloo shimla mirch ready.. Tastes yummy with phulkas..
Soak and cook basmati rice as you would do for pulao. Heat ghee in a pan and add seasoning with jeera , perungayam, green chili and ginger. Add onions , sauté with salt. Add chopped capsicums ( onion to capsicum 1:2). After 2 mins add d ground masala powder and mix well. Add the rice , lemon juice and a pinch of sugar and serve. Most healthy way if eating capsicum is eating it raw.. Grate capsicum,cucumber,apple,cut tomatoes ,black grapes and onion optional... Squeeze lemon and add salt.. It wil taste awesome.. U can also add finely chopped or grated green chilly.. It wil be a mixture of sweet salty spicy and sour taste.. And above all crunchyyyyy.. Just try.. Method : Cube the capsicum. Now in a pan, heat oil, splutter mustard seeds and broken Urad Dal. Then add Hing powder saute it and then add cubed capsicum, close with a lid until it softens on low flame. Then open, sprinkle the curry powder and salt give a quick saute until everything thing binds up completely. METHOD : Chop baby corn and capsicums according to your shapes(medium sized) and keep it aside. In a blender, grind all the mentioned ingredients under ‘To Grind’ without water, smoothly. Now take a kadai heat ghee-oil, pour in the grounded mixture, sauté it until it thickens and changes colour. Add the all the spice powders and stir it, till you get nice aroma. Now in this stage add the fresh cream and mix it evenly. Now drop in chopped baby corn and capsicum, stir it to get the masala evenly coated. Add required water to get semi liquid gravy consistency and also add salt. Close the kadai wid lid, on low allow the veggies to boil, stir it in between, add water if required. Once the veggies gets semi boiled switch off the stove and garnish with crushed Kasuri Methi. Enjoy with Peas Pulao, Naan, Chapathi, Phulkas, Pudina Pulao or with your desired main course. METHOD : Dry fry all the ingredients mentioned under kadai masala powder, cool it and then coarsely powder it in mixie. (Wash the Mushrooms completely and discard the stem) In kadai heat oil, saute the chopped Mushrooms (julienne) until it turns brown (Mushrooms will ooze out water & once it gets cooked water will evaporate on its own). Keep it aside once cooked. In the same oil, saute finely chopped onions until turns translucent, then add the crushed ginger garlic to it, saute until the raw smell goes off. 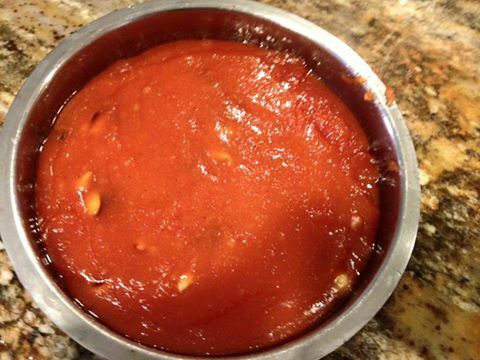 Now add the pureed tomato, stir and saute it until the oil separates. Once done add the cubed capsicum and saute it for 2 to 3mins. Add the coarsely grounded fresh kadai masala and stir it quickly, then pour 1cup of water to it, add salt, close with a lid and cook until capsicum gets half cooked(don't allow the capsicum to cook very soft, maintain the crunchiness) on low flame. At the end add the sautéed mushrooms and crushed kasuri methi to it and stir it for about 2mins. Switch off the stove and enjoy with Phulkas, Roti, Pulao and Naan or as you desire. Roast a cup of Rava in a pan .take a pan with oil .add mustard seeds,Hing,turmeric powder,curry leaves,Channa and Urad Daals ,red chilies broken ,cubed capsicum (any color),peas , and fry till half cooked .add Rava ,grated dry coconut a handful ,Vaanghi bath powder 3-4 tsp and boiling water ,salt to taste .mix carefully ,close the pan and cook for few mins garnish with coriander leaves and serve hot . Capsicum Bhaath: Same procedure as Rava Bhath ,but instead of Rava can add rice and mix the veggies and masala .i have added sliced potato also . Method : Remove the seeds and cube the capsicum finely. Saute Capsicum in little oil to just soften it. Now in curd add this sauted Capsicum and finely chopped tomato, sprinkle salt and hing, mix well. Garnish with finely chopped Coriander Leaves. 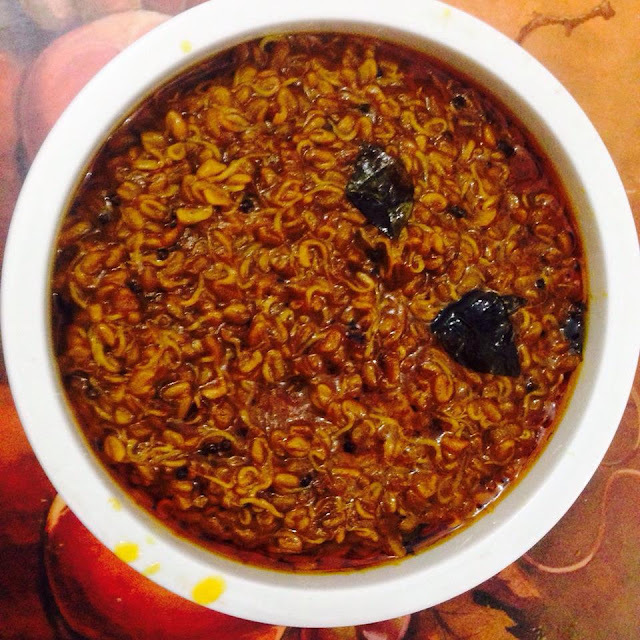 Serve with Vethakozhambu Rice. Capsicum kalyana sambar : Pressure cook the toor dal, cook the capsicum in tamarind water, put salt and turmeric. Dry roast coriander seeds, fenugreek seeds, jeerakam, Chana dal and red chillies and grind with coconut. Then also fry one tomato and one onion and grind all the items together. Then add this gravy and toot dal and bring it to boil. Then season it. 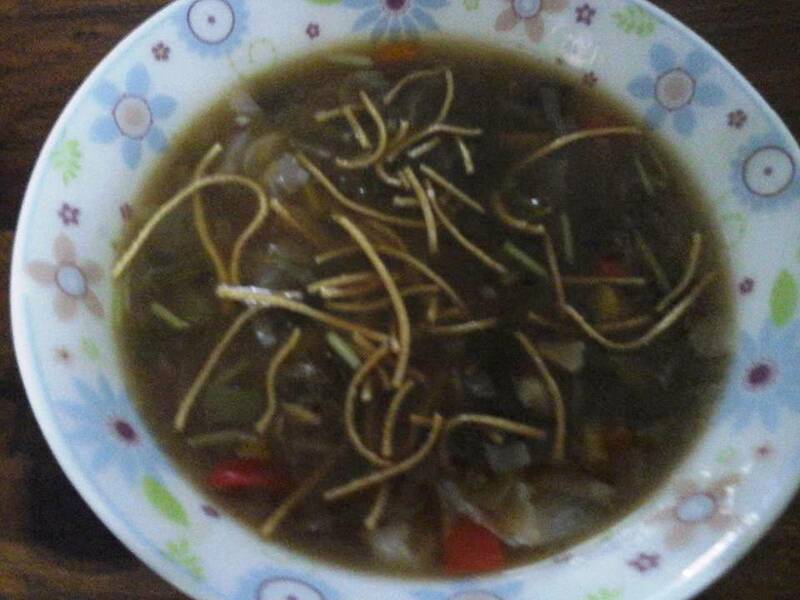 Yummy capsicum kalyana sambar is ready. 1. Dry roast 1/2 cup urad dal and red chillies. For one capsicum.Thank 3_4 chillies. Keep it aside. 2. Cut Capsicum into fine. pieces . Capsicum sandwich : Cut onions and capsicums finely .take a pan with some oil ,add Jeera ,Hing,turmeric and red chili powder,onion and capsicum, saute. Add salt ,kasuri Methi leaves crushed, Jeera powder ,dhaniya powder, little garam masala or kitchen King masala . fry and allow to cool .stuff inside slices of bread .apply oil or butter on top and bottom portion of bread and now place in the grill toaster. These sandwiches can also be done on hot tava . (can also add grated cheese along with the veggies mixture for kids ). Serve with tomato sauce. For the stuffing : Take some paneer, if refrigerated soak in warm water for 20mins, remove and crumble. To this add finely chopped onion (optional), finely chopped capsicum. Add salt and mix well. Preparation : Apply butter on both slices of bread. Apply a layer of tomato ketchup on top. Keep the stuffing and toast. Easy to make, tastes yummy and kids will love it. Ideal for kids lunchbox and quick evening snacks. Finely chopped capsicum (1 no.) 3 potatoes cooked n mashed slightly. Pour Coconut oil 3 spoons. Add mustard seeds, urad dhall and kariveppilai. Put capsicum and fry it. Add salt n tumeric powder, perungayam a pinch. Add mashed potatoes n fry till roast. Add chilli powder also when u mix salt. Sorry missed. Green capsicum coconut chutney : Just saute capsicums and gr chilli in oil...cool and gring with coconut, pottukadalai and salt. 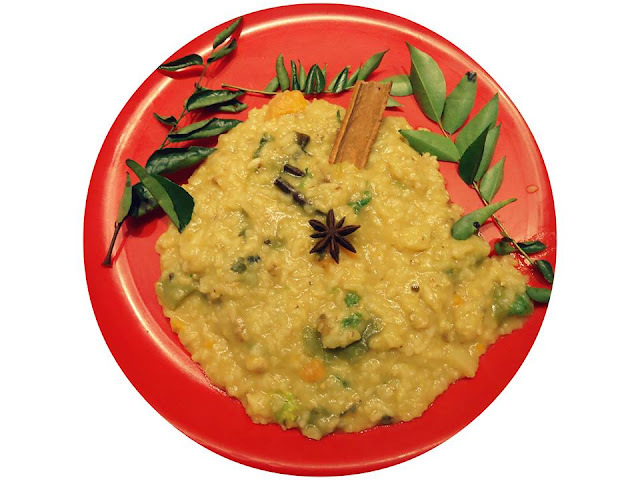 Season with mustard, urad dhal and curry leaves. My favorite is capsicum paruppu usili.. Chenna dal nd tur dal 1 cup each soak for 2 hrs. Grind to paste along with salt, hing nd red chillis. Steam in idly plate nd let it cool. Make into pieces without lumps (if needed can whip it in dry mixy to evenly break it). Stir fry the capsicum cut into small pieces with little salt nd keep aside. Now splutter mustard, urad dal, add the dal mixture. Fry for few minutes, add de capsicum. Mix well. If u like, spray little coconut oil for flavor nd mix well. 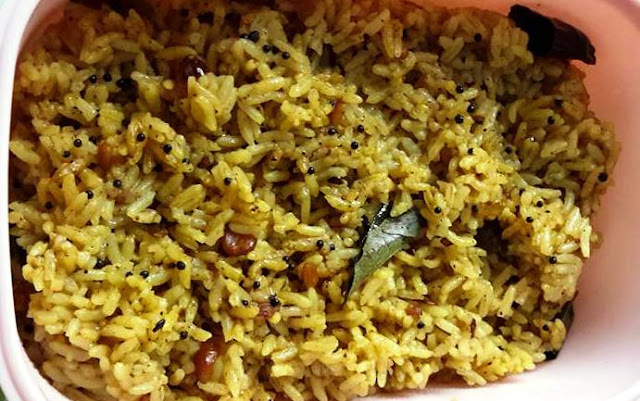 Dress with curryleaves nd serve. 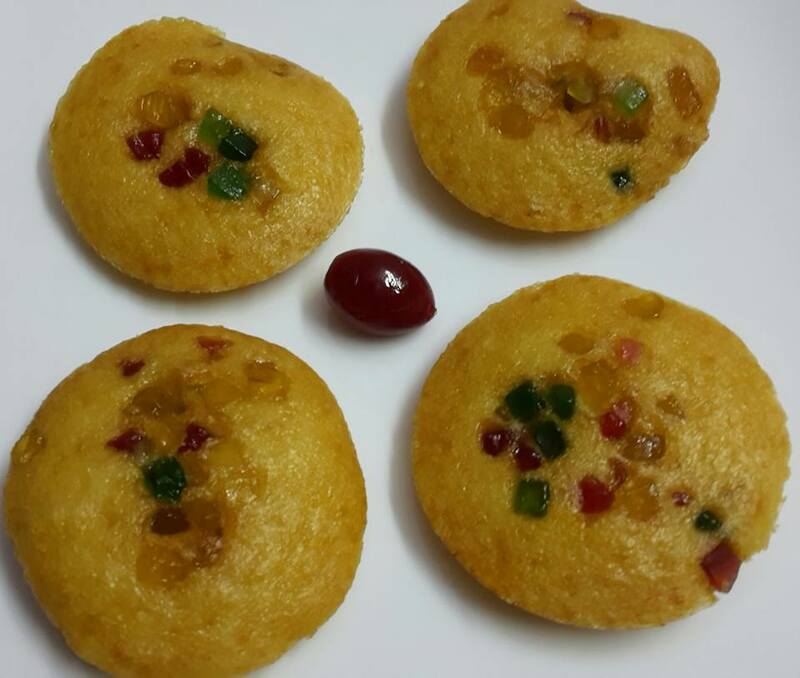 Yummy capsicum paruppu usili ready. Little Channa dhal, lil more urad dhal, dhania lil , chakke, lavanga, elakki, byadagi and usual red chillies, hing, copra,little curry leaves. Roast in lil oil and grind....masala ready. Then as usual I soaked, drained rice. After tempering mustard and red chillies in oil( I have added liberally), add the veggies, tamarind juice, salt, masala powder, required water, rice and as usual cook for two whistle. Put a Kadhai in the gas add lil oil splutter mustard and urad dal add the chopped capsicum fry for a while then add the besan flour salt chilli powder and Haldi fry for a while then add curry leaves! have it with morekuzambu Saddam or with vathakuzambu. Kadaila 2 spoon oil la kadugu vendayam red chillies Porsche kutti adult green chillies n ginger podiya Naruki pottu vadakavum Then add capsicum vadakify then add puli thanni n vellum Nalla kodithavudan Adu ketti aaiduvom Erakkinavudan ellu varuthu podi panni podavum Goes well with roti chapati idly dosai adai molagootal Sadam curd rice etc. 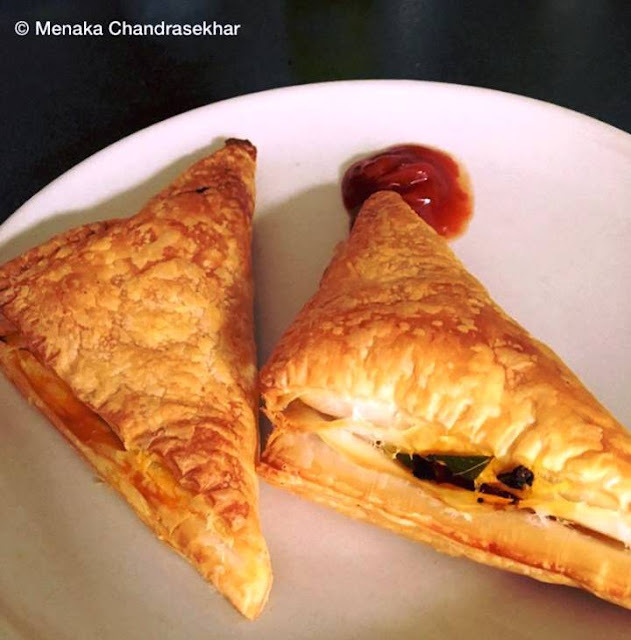 Capsicum Paratha : Chop red capsicum, green capsicum into fine square pieces. Mix them along with grated cheese/shredded paneer, salt, generous pinch of garam masala and red chilli powder. Make small balls and stuff them inside roti n make parathas. Capsicum Rice: In a pan dry roast 2tbsp dhania, 6 red chillies, 1tbsp urud dhal, 1tbsp channa dhal, hing and 4 pieces of koparai.. Powder it. In a pan add Jeera and ghee and add Capsicum n saute for 5 mins. Once the Capsicum raw smell goes add the powder above n salt and add cooked rice.. Garnish with roasted peanuts and coriander and curry leaves.. Capsicum rice ready..
Rice Stuffed Capsicum-- take one cup of rice and four med size capsicum. cut the head of capsicum scoop out seeds . sprinle salt and a little lemon juice and shake well . keep aside. now take a pan add oil add jeera , krambu, pattai and one elakkai . add rice , fry a little and add a teaspoon of salt and sugar. and allow the rice to cook well. when rice is cool stuff it inside the capsicum/ kodamilagai leaving a little space for rice to expand. . steam the capsicum is a pan . till it is soft.tastes yummy with mayonnaise or salsa or any side dish as you like. the aroma in the kitchen is simply devine. Just cut the capsicum in to small pieces. 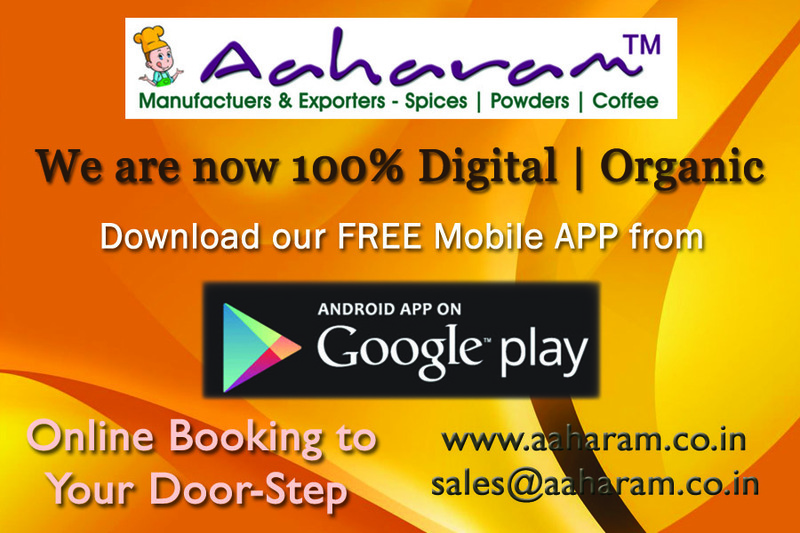 Kadai , oil, pottukko, only ,mustard, jeera, thalichu kotti, turmeric powder pottu, vadakki, konjam, salt pottu, dhania powder pottu, cook anadum, stop the stove. No chilli. Take 1/4 kg potato. Boil, peal off. Take two carrots and grate them. Cut two green chillies with ginger finely. Blend all the above ingredients with sufficient qty salt and make them medium size balls. Take four capsicum and cut them to two horizontally. Remove the inner seed portion. Semi boil them with little salt 3-4 min. Little softness will do. Stuff the balls and cover the top with thick bajji flour paste. In a shallow pain add oil and fry them in low flame. Serve hot. Sweet Corn 1 Cup boiled, Capsicum cut into med. squares, Paneer Cubes 1 cup, Chopped Spring Onions. Chop the onions & the leaves separately Tomato Purée of 3 med Size, Garam Masala 1tsp,Turmeric Powder 1/2 tsp, Chilli Powder 1 tsp, Dhana Jeera Powder 1 1/2 tsp & salt as per taste. Method: Take a kadai. Pour 2 tbsp of oil. Add chopped onions. Sauté for 1 min till they become translucent. Now add puréed tomatoes. Sauté again for 1 min. Add tur. Powder, Dhana Jeera powder, Chilli powder . Cook till the oil separates . Now, add capsicum, cooked corn & paneer pcs & salt. Cook on slow heat for 3 to 4 mts.Lastly, add garam masala & cook for 2 mts. Sprinkle chopped spring onion leaves. PS: u can add 2 tbsp of fresh cream or 1/2 cup milk at the last step. This will augment the taste. This is again optional.
. After 2 mins add d ground masala powder and mix well. Add the rice , lemon juice and a pinch of sugar and serve . Cube the capsicum. Now in a pan, heat oil, splutter mustard seeds and broken Urad Dal. Then add Hing powder saute it and then add cubed capsicum, close with a lid until it softens on low flame. Then open, sprinkle the curry powder and salt give a quick saute until everything thing binds up completely. Capsicum sandwich : Cut onions and capsicums finely .take a pan with some oil ,add Jeera ,Hing,turmeric and red chili powder,onion and capsicum .saute. Add salt ,kasuri Methi leaves crushed, Jeera powder ,dhaniya powder, little garam masala or kitchen King masala .fry and allow to cool .stuff inside slices of bread .apply oil or butter on top and bottom portion of bread and now place in the grill toaster . These sandwiches can also be done on hot tava . (can also add grated cheese along with the veggies mixture for kids ). Serve with tomato sauce.